Nuts are probably the healthiest snacks that you can ever get your hands on these days. It is the go-to snack for people dealing with diabetes. It is also one of the most commonly used ingredients in the Paleo diet. Let us also not forget about the fact that nuts are filled with healthy fats that we can all benefit from. Because of the fantastic health benefits that it has to offer, nuts have become the go-to snack of a lot of people. And that is the reason why a lot of people (including me!) tend to stock up on nuts. Do Nuts Go Bad? The Answer Revealed! How to Tell if Nuts Have Gone Bad? How to Properly Store Nuts? Store them with their shell. Place the nuts in an airtight container. Store the nuts away from other high-odor food items. Just like all foods, nuts also go bad. No matter how great the brand is, how they were harvested, or how they are packed, they will go back at some point. And that is why it is crucial for you to understand how long nuts last and how you can tell if the nuts have gone bad. Pine nuts last for only 1 to 2 months. Pistachios last for up to 3 months. Hazelnuts can last for 4 to 6 months. Walnuts and pecans last for 6 months. Peanuts, cashews, and macadamias last for 6 to 9 months. Brazil nuts last for 9 months. Almonds can last for 9 months to a year. Pine nuts can only be used for up to 4 months. Almonds, brazil nuts, cashews, macadamias, peanuts, pecans, and walnuts last for up to a year. Pine nuts can last for 5 to 6 months. Walnuts last for 1 to 2 years. Brazil nuts and hazelnuts last for up to a year. Pecans, peanuts, macadamias, cashews, and almonds last for up to 2 years. 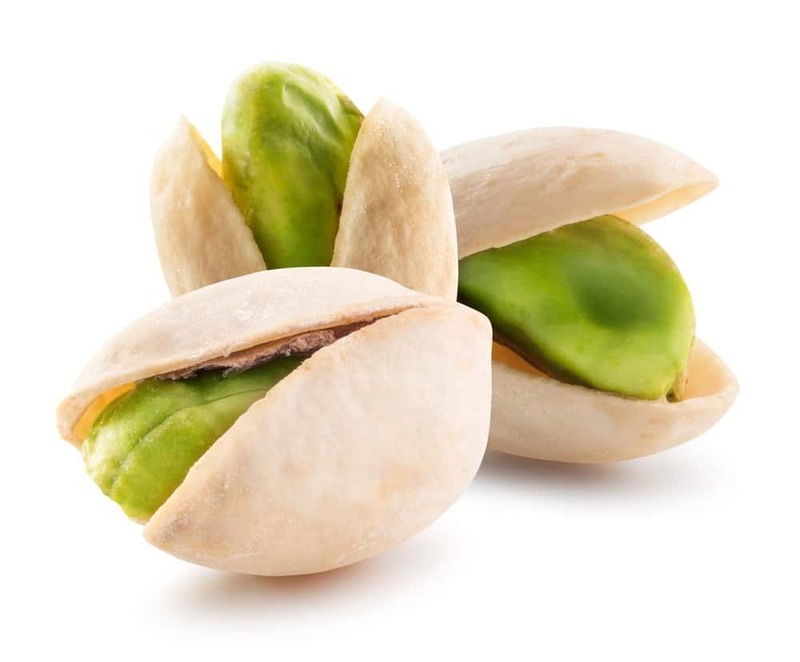 Among all the peanuts out there, pistachios are not recommended to be stored in the fridge and freezer. If you are not sure as to when you purchased your nuts, you will be glad to know that packages of these nuts come with a label. But instead of an expiration date, nut packages come with a best by date label. The difference between the two is that you can still eat the nuts even after the best by date has already passed. But because of the difference between the two, it is up to you to determine if the nuts are still safe for eating or if they have already gone bad. Take a whiff of the nuts to see if they are still fresh. If the nuts give off an unpleasant fishy smell, you should throw them out. Examine the nuts—all parts of it. If the nuts exhibit a darkened, this indicates that the nuts have already turned rancid. Aside from darkened portions, you should also check to see if the nuts have already dried out and show a shriveled appearance. You also need to check if the nuts have already turned moldy. If the nuts exhibited any of the signs mentioned, you should throw them right away. If the nuts do not have a rancid smell or dry or moldy appearance, but you are not sure how long they have been in your fridge or pantry, the next best thing that you can do is to taste them. If the nuts give off a sour and bitter taste, then it means that the nuts are already rancid and you need to throw them out. Of course, when stored improperly, the shelf life of nuts will be a lot shorter. That is why it is a must that you store your nuts properly. Here are some of the tips on how to do that. Of course, you have two storing options—store them with or without their shells. But what you need to understand is that nuts tend to last longer when you store them in their shells. If you want your nuts to last longer, one important thing that you need to do is to maintain the right moisture level, and you can do this by placing the nuts in an airtight container that would keep moisture out and seal moisture in. To maintain the integrity of your nuts, it is a must that you store it far from high-odor food items like onions and garlic as these can affect the nuts’ taste and smell. Stocking up on nuts is always a good idea. After all, it is the best and healthiest snacks available today. But please be careful about eating nuts that are already past their prime. We hope that this article has helped you answered the question, do nuts go bad. If you have anything that you may want to add to the information that we have provided, please share them with us in the comments section!